Rachel is Professor of Economics at the University of Manchester and a Research Director of the Institute for Fiscal Studies (IFS). 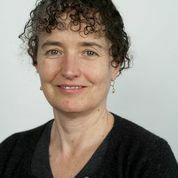 Rachel won the Birgit Grodal award in 2014 and was awarded a CBE in the Queen's Birthday Honours 2015 for services to economic policy. She is a Fellow of the Econometric Society, the British Academy, the Academy of Social Sciences and a Research Fellow of CEPR. She currently holds an ERC Advanced Grant on "Empirical evidence on the formation of habits and self-control in food choices", and had a previous ERC Advanced Grant on "Microeconomic Analysis of Prices, Food and Nutrition". She is a co-Investigator on the ESRC "Centre for the Microeonomic Analysis of Public Policy" at the Institute for Fiscal Studies. FINANCIAL TIMES: Where are all the female economists?